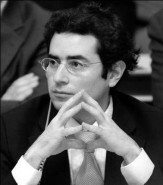 Hillel Neuer is the executive director of UN Watch. He has testified before the United Nations Human Rights Council and the U.S. Congress. Mr. Neuer taught international human rights at the Geneva School of Diplomacy, and in 2008 was elected Vice-President of the Conference of NGOs' Special Committee on Human Rights in Geneva, serving until 2011. He has published widely on international law, human rights and politics, and appeared on CNN, BBC and Al Jazeera. U.S. Congressman Howard Berman, speaking in the House Foreign Affairs Committee, described Mr. Neuer as "one of the strongest and most informed critics of the UN Human Rights Council.” Prior to UN Watch, Mr. Neuer was an attorney in the law firm of Paul, Weiss, Rifkind, Wharton & Garrison, and served as a law clerk on the Supreme Court of Israel. He was cited for the high quality of his pro bono advocacy by the U.S. Federal Court. Maariv newspaper recently named Neuer to its list of the Top 100 Most Influential Jewish People in the World. Originally from Montreal, he holds four degrees in law and politics, and is a member of the New York Bar. Even with its discredited chairman gone, the new UN report on the Gaza war will be every bit as biased.